I wrote this nearly a year ago on Tumblr, before I realized it was a microblogger. This blog post belongs here, where people care about reading. 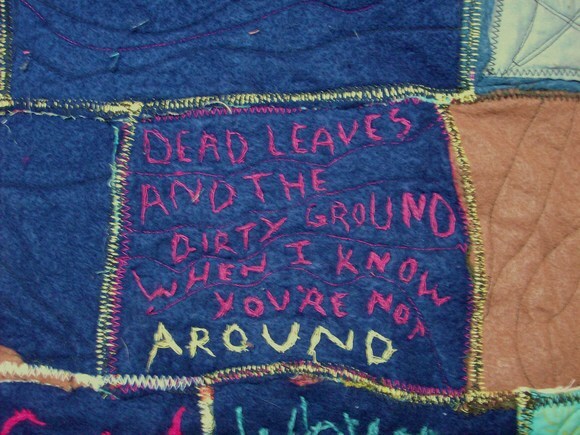 Frankenquilt hasn't grown any since this was written, btw. But he still slumbers restlessly. Expect more from this monster as it hungers for revenge! Like many awful abominations created in the name of science, it began innocently as a mission of discovery. But once I began my horrid experiment I realized that something had seriously gone awry with my project. I had created a monster. It's so ugly. Get out your pitch forks and torches. 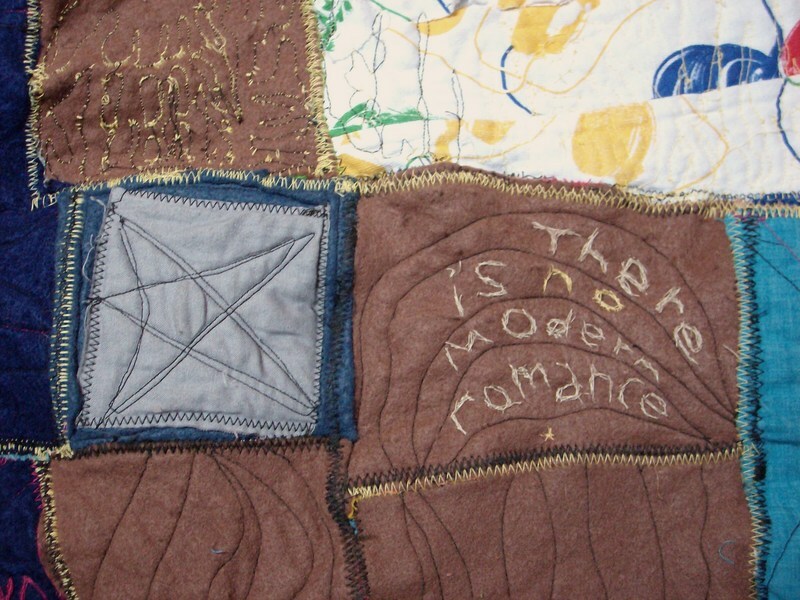 Here comes the cankerous Frankenquilt. Not that I'm saying that ugly is necessarily a bad thing. It's ugly in a badass gnarly evil kind of way. 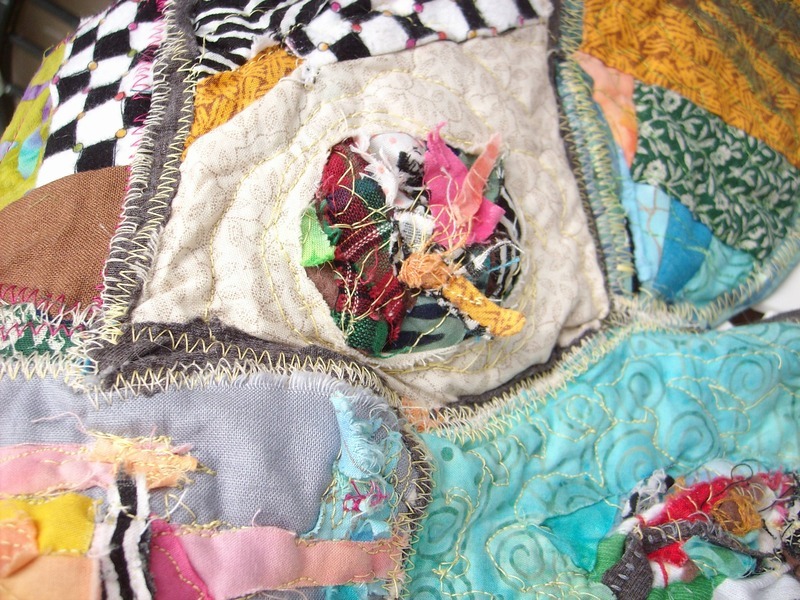 It's a crazy quilt thats made out of all the scraps I've been hoarding for the past year or two. It's constructed in a really sketchy way, honestly. I just sewed together a bunch of weird pieces and shapes, leaving no scraps wasted. I even used "batting," mostly because I forgot that traditional crazy quilts don't have batting in them. And by batting I mean, sometimes it was the soft cottony stuff. 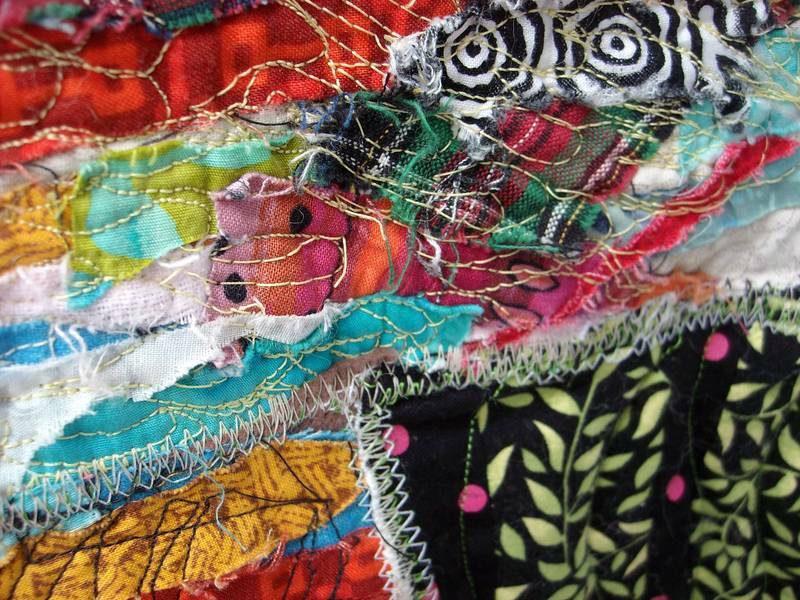 But other times, because Frankenquilt is evil and made up of many unholy things, I implemented really tiny "crap scraps" of fabric and bits of string that had been collecting near my sewing machine. 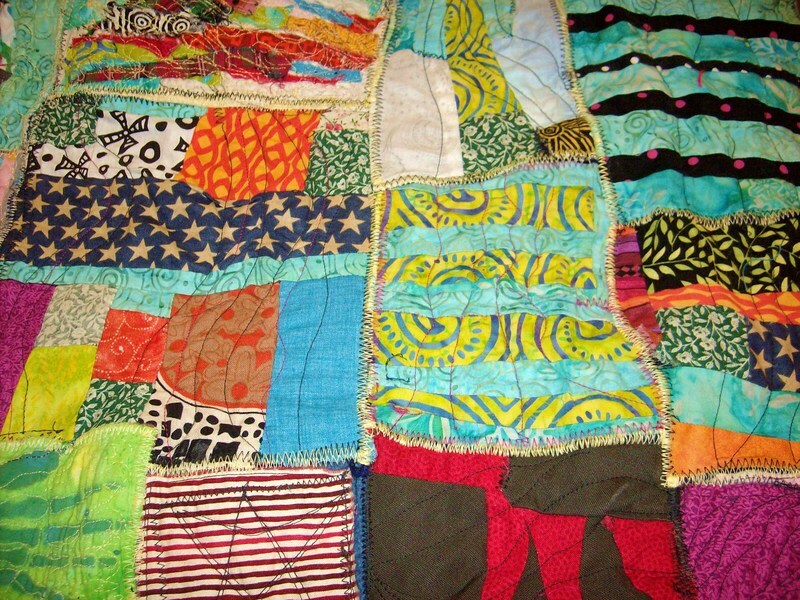 And pretty much anything else that I felt like putting on the inside of Frankenquilt. Use your imagination. 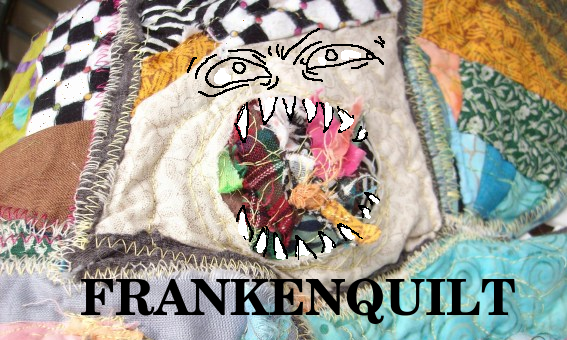 I also want to mention that Frankenquilt has not one, but two hideous personalities. 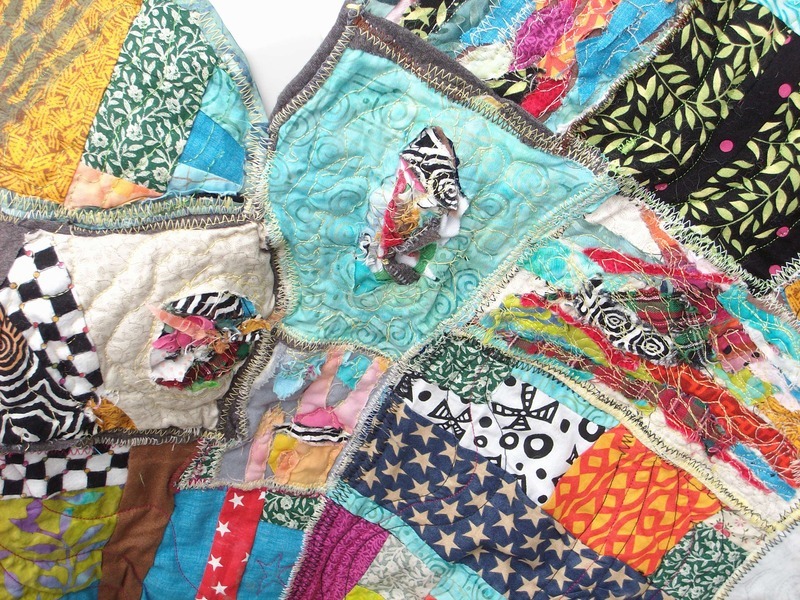 One side of the quilt is loud and annoyingly busy patterns, while the back is made of mostly felt and other gross things I have in abundance. 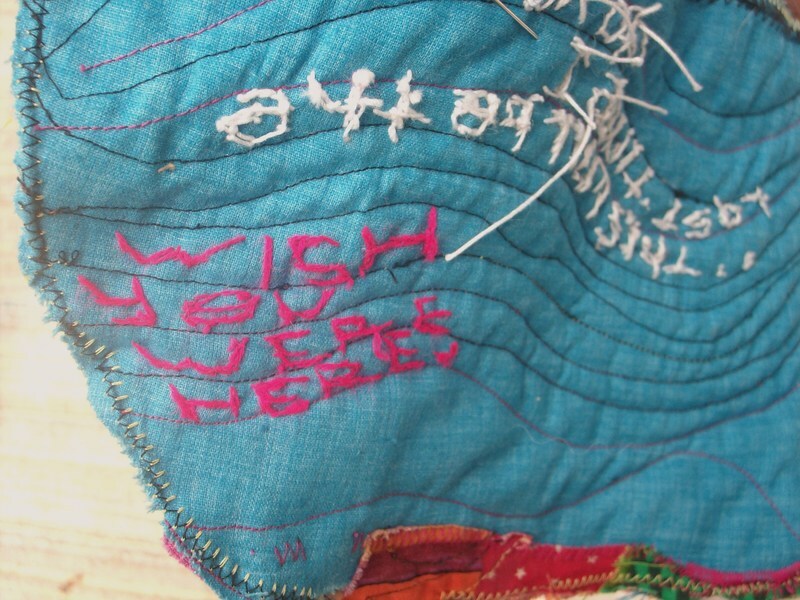 Because I thought the back was too ugly (even for Frankenquilt) I got the idea to start sewing in "graffiti" to fill the plain spots.The quotes I chose to embroider were ones that I particuarlly liked or related to. Or also maybe because they were just badass song lyrics. Can you pick out any that you recognize? Some of them are really cliche and cheesy, which is probably why I love them. The most frightening thing about this monstrosity is that it's growing. One day, it will be large enough to wrap around my whole body. What I have now, though, is a modestly large hand towel.... sooooooo sinister! I love it! It's much more attractive than my ugly quilt which totally lacks any personality. I may have to try something like this. I certainly have all the "crap" to do one.